FidoDerm Herbal Spray by Animal Essentials provides soothing relief for dogs with dry itchy skin. Promotes healing of the skin. 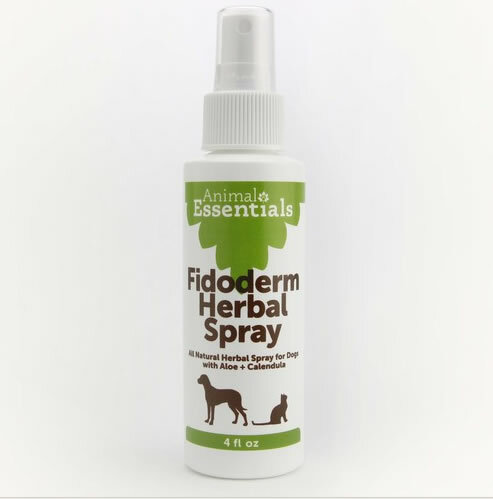 FidoDerm Herbal Skin Spray by Animals' Apawthecary is an all natural formula with aloe and calendula. FidoDerm Herbal Skin Spray relieves itching and promotes healing of irritated skin. This product is for dogs only. This works the best for my golden and is easy for me to apply. Works great on his hot spots, dry skin due to dry winter conditions. He has allergies so I also use this on his skin. Works great and I would recommend this product! Love the fact that it's all natural! FidoDerm Herbal Skin Spray contains: Certified organic aloe vera juice, calendula extract, distilled water, and essential oils of lavender, tea tree, and carrot seed. Dogs: Brush back the coat and spray affected area. 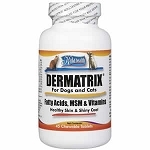 FidoDerm is a highly concentrated formula -- a little goes a long way and the 4 oz. bottle will last and last! This product is not intended to be used on cats.